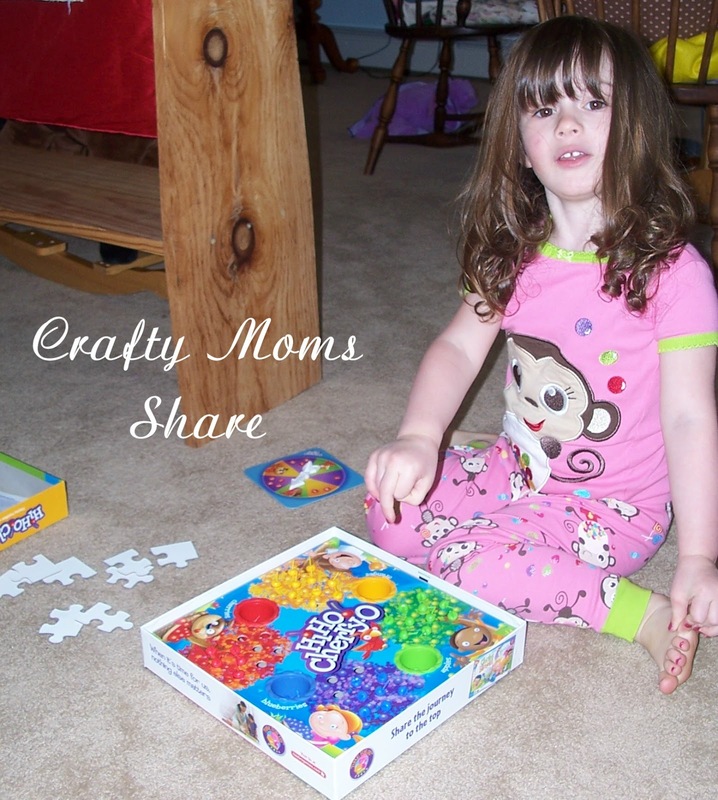 Did you do something fun with your family this week? 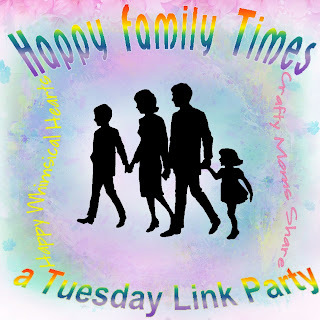 Kelly at Happy Whimsical Hearts and I are hosting a link party to share them. Scroll down to share with us!! And make sure you visit Kelly to see what fabulous thing her family is up to this week! 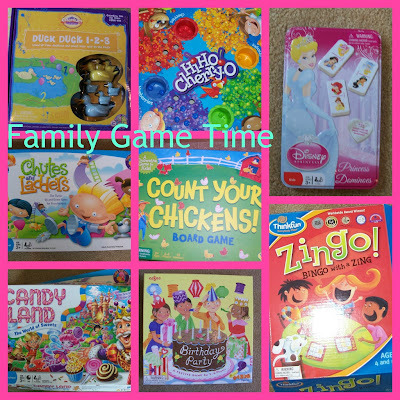 Family Game Time was the motto of our weekend. Hazel has been a bit sick so we needed to take it easy. She wanted to play everyone of her games this weekend (both days). We played seven games many times this weekend! 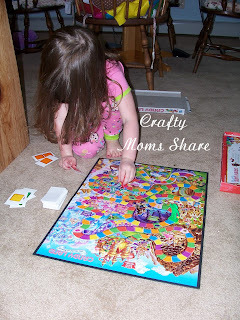 The first game we ever got her was Candy Land (well actually we have a Memory Game but we didn't play it this weekend). 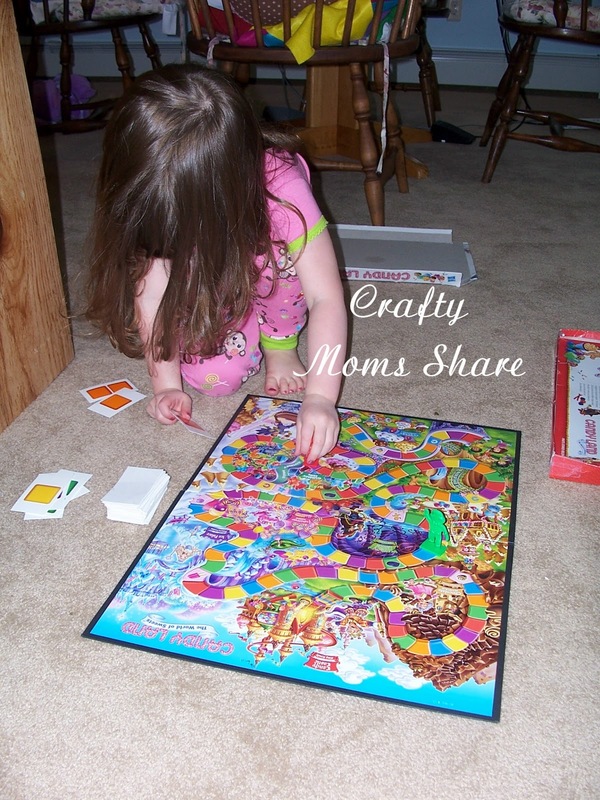 Candy Land is great at practicing colors and teaching them how to take turns and follow the path. (We often have difficulties with which way to go on the board.) She loved playing it when she was younger, but she didn't really get it. Now she gets it a bit better. 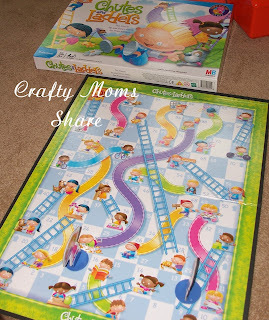 We also bought her Chutes & Ladders around the same time, but I put it away since I knew she wasn't ready for this one. This one involves counting. You could also easily do some addition and subtraction problems while playing since the board is numbered 1-100 for each square. The same day Hi-Ho-Cherry-O arrived from Amazon, we had bought Count Your Chickens! at Drumlin Farm. 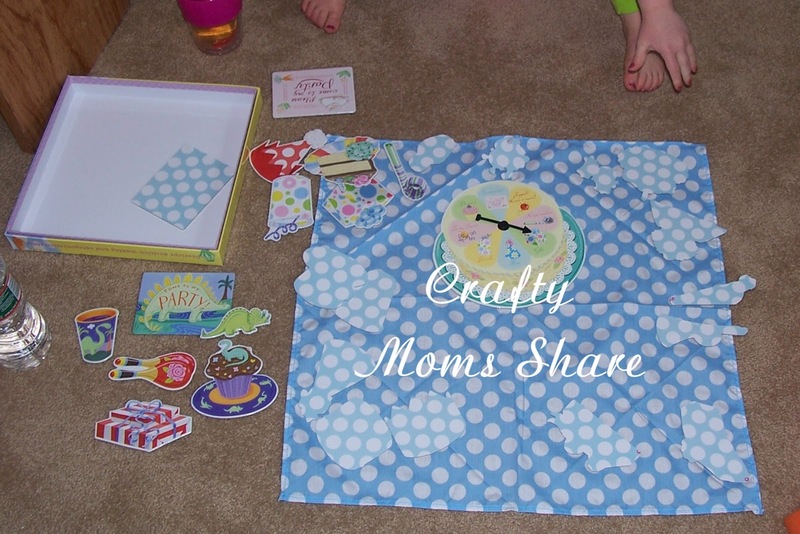 This is another cooperative game. There is only one playing piece--Mother Hen. Your job is to get all the chicks back to the chicken coop before Mother Hen gets there. You get a chick for each square you move and there are some special ones where you get plus one to the number you moved. However on the spinner is a fox. If you get the fox you have to take one chick out of the chicken coop. Again Hazel loves this game! In it you work on counting. The most we have had to count up to I think is twelve. She is definitely better at counting out things. Before she would just say the numbers all together and not count each individual item. 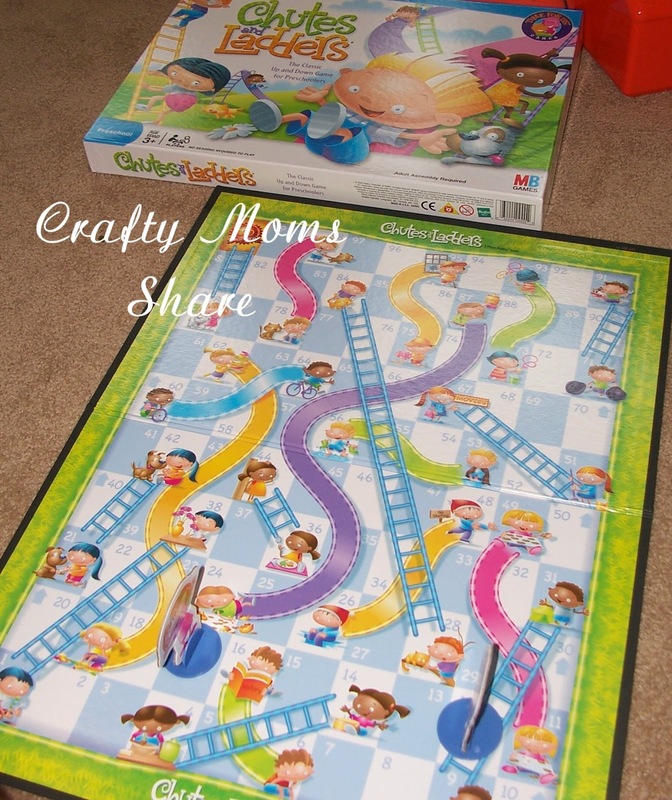 This game we bought at a discount store. (I think it was Christmas Tree Shops.) It is put out by Cranium and is called Duck, Duck, 1-2-3. 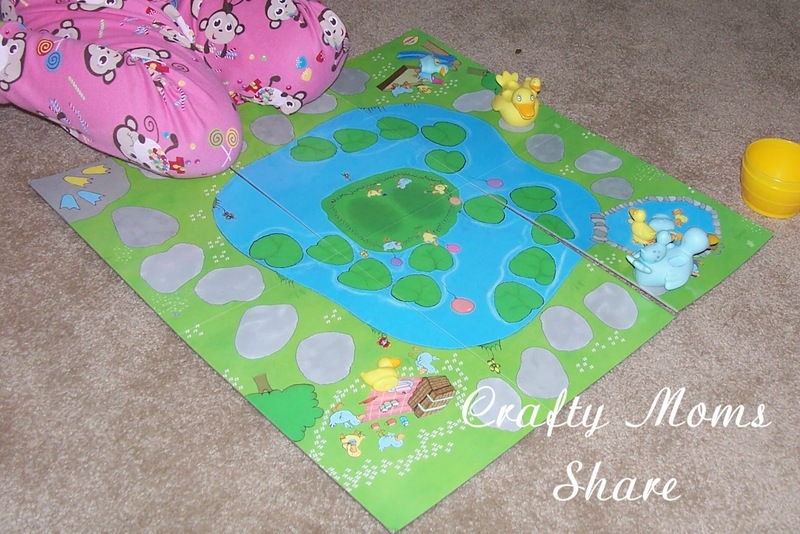 The object of this game is for each player to move around the board picking up their matching ducklings which fit (somewhat) into the parent duck's back and then get to the center for the duck party. There is no winner. The game is over when all the ducks are at the party. We got it of course for Hazel's love of ducks! Needless to say she loves it because of the ducks. She is always deciding which color is the mother duck and which is the father duck. At one of the discount stores (Ocean State Job Lot, I think), we picked up a set of Disney Princess dominoes. They did not have any without characters or I would have gotten them, but these also do not have dots or numbers on them so I think it is a bit easier for the first domino game. She loves it. We have not made a domino train to knock down yet, but will. 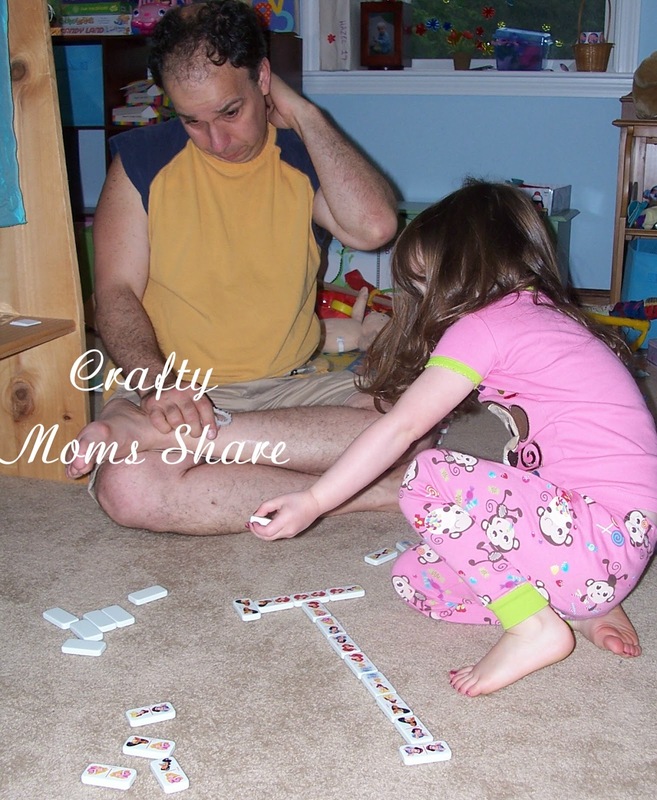 We got this one with the dominoes. It is called the Birthday Party Game. Since we celebrate someone's birthday just about every day in my house (often my third but sometimes it is Ducky's), I thought this might be good. You spin a spinner and have to get the invitation first. 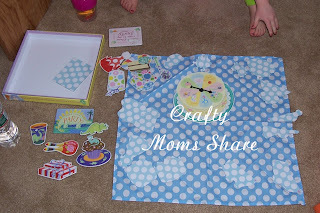 Then you spin to get all the party supplies: dessert, hat, gift, drink, favor, and noisemaker. The first person to get all of his/her wins. 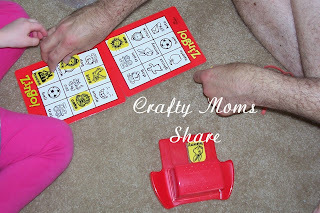 We of course usually play until everyone has all of their supplies since Hazel doesn't like there to be a winner. 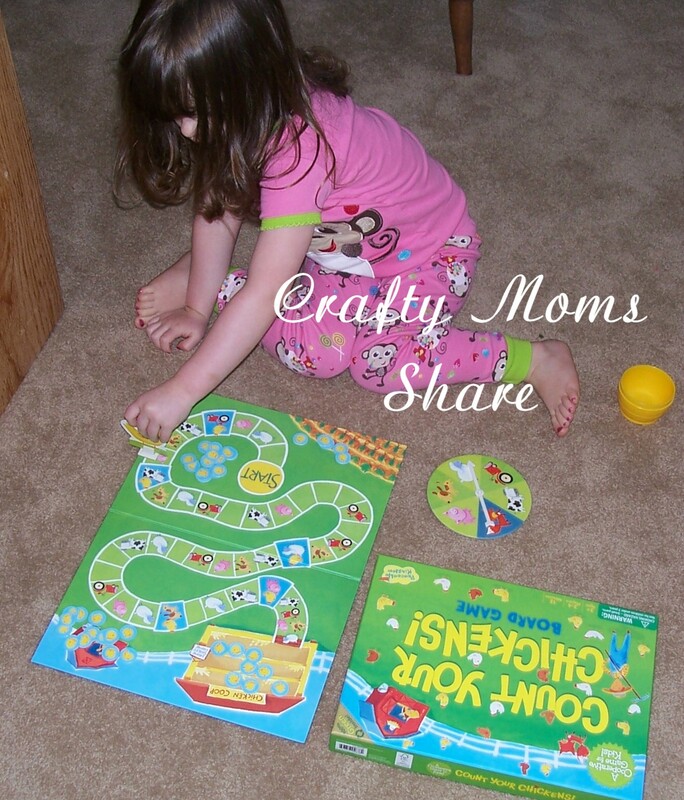 The final game to share is another one I learned about at I Can Teach My Child! I happened to see Zingo at Michaels and was able to use my 40% off coupon to buy it. Hazel loves it. It is a matching game. We play a modified version since she is not quick enough yet to beat us. We help her notice if her board has one. 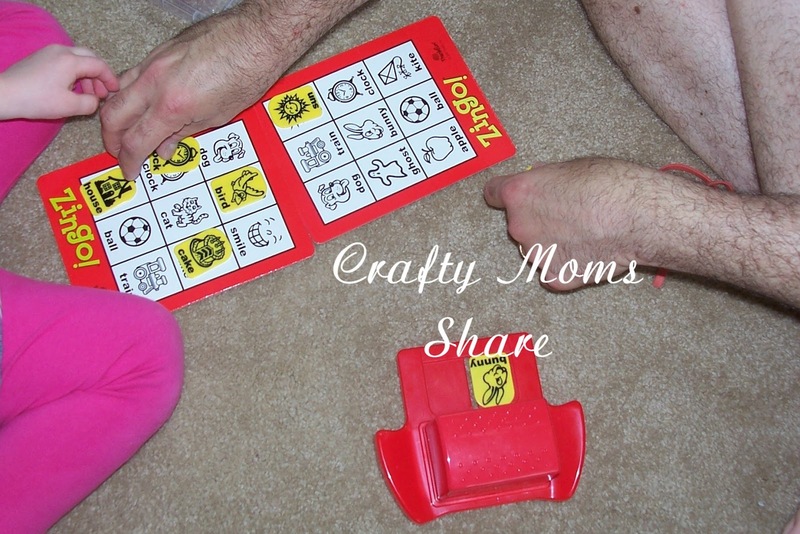 She loves moving the zing piece as well as matching and picking out the card, etc. We all seem to enjoy this one very much. 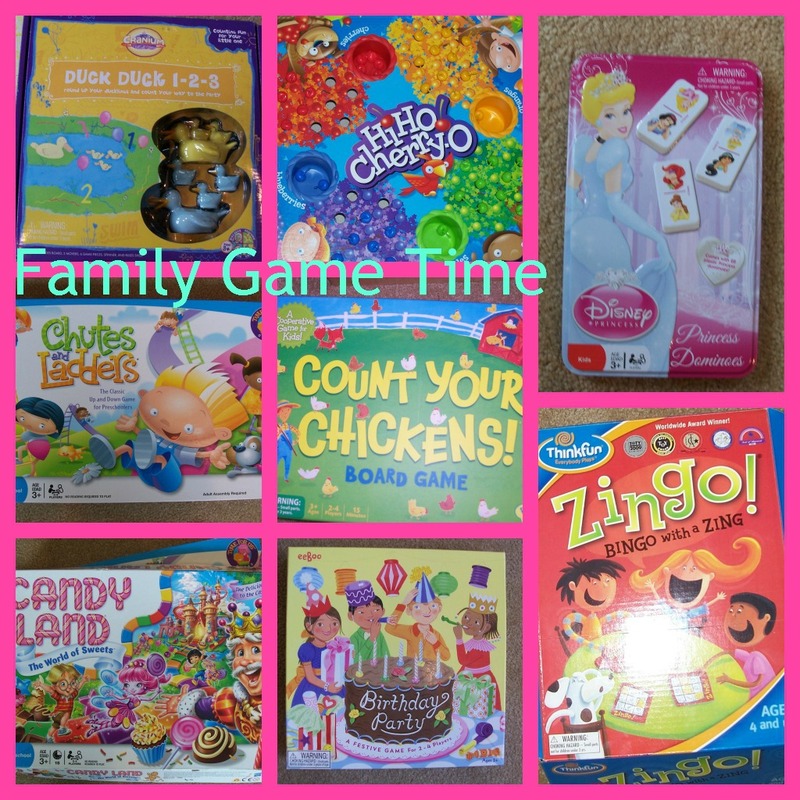 I look forward to have "game nights" with my little ones! I remember loving that when I was young! Sorry to hear Hazel has been sick. We love playing board games. Thanks for hosting. Thank you!! She is feeling better and so am I.